As we begin the New Year, it signifies a new beginning with resolutions and commitments to yourself. 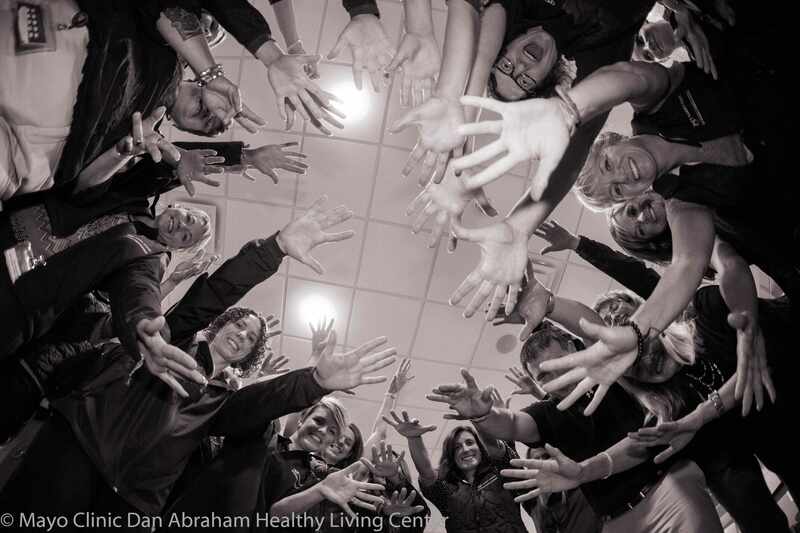 At the Dan Abraham Healthy Living Center, we encourage you to make those resolutions and stick with them. For us, we are committed to sharing expert advice in health & wellness to help you achieve your goals. By doing so, we are reorganizing a few of our communication tools you may be familiar with. We are changing our printed monthly newsletter from being programs & offerings at the DAHLC to now be a newsletter that will include expert advice, workouts, recipes, inspiration from our members and more. We want these ideas to help you in your health & wellness journey, which will be great to share in your work area or with family & friends. You can view January's newsletter here. Also available at our kiosks today! For the programs & offerings at the DAHLC, we will have a separate sheet with all the information. It will be printed on one sheet, front & back similar to our DAHLC Drop-In Group Fitness Class Schedule. The Offerings sheet will be updated quarterly and gives you an overview of everything that is included in your DAHLC membership. It is categorized by common goals from our members: Get Started, Get Fit, Eat Well, Lose Weight, Discover, Participate & Relax. Each of these goals are categorized the same way on our website so the information you find on our Offerings sheet will also be on our website. You will find this information under the "I want to..." tab. View our Offerings here. (*Note this is a clickable document so if you are interested in an offering you can click to learn more. Then, if you'd like, use the back button to get back to the Offerings pdf.) Also available at our kiosks! Our 'What's Happening' tab on our website also changed to give you a calendar overview of everything that is going on during the month. Our programs are listed by registration date, so if you see a program you are interested in, please know you may still register after the date shown (if there is still room in the program). We hope this gives you a better way to plan ahead and participate in a program and see what offerings are coming up. Lastly, the DAHLC email (different than the 12 Habits email) will also change. Now, each month we will change the content and share with you a fun fact/did you know/tip/etc. Also included will be snippets about the newsletter articles and links to read more about those on our website. Then, we will end the email with events or activities happening at the DAHLC for that month that you wouldn't want to miss! Stay tuned to your inbox! We're looking forward to bringing you our expert advice in health & wellness and encourage you to share these ideas with colleagues, friends, family & neighbors! We'd also love to hear your feedback by commenting below or emailing dahlc@mayo.edu. Thank you & we hope you have a wonderful 2016!